The new fishing licence pricing has been in effect for a few months now and it seems to have settled down nicely after the usual expected delays when introducing a new system. 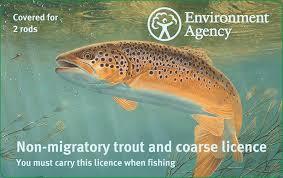 So when do you actually need a UK fishing licence? Well you need a fishing licence if you wish to fish for salmon, trout, freshwater fish, smelt or eel with a rod and line in England (except the River Tweed), Wales and the Border Esk region of Scotland. You must always carry your rod fishing licence when you’re fishing or you could be prosecuted and you can be fined up to £2,500 for fishing without a rod fishing licence. Children under 12 don’t need a licence and licences for children aged between 12 and 16 are free. You may also need to get permission from the landowner if you’re fishing on private land and an additional licence to fish in locks or weirs on the River Thames. You must always follow national and local rules (byelaws) when freshwater fishing with a rod and line in England and Wales. 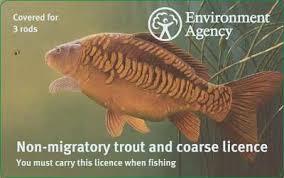 There are two types of licence available and these are the 'Trout, coarse fish and eel licence' which lets you fish non-migratory trout and all freshwater fish. 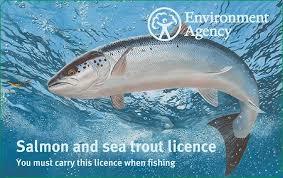 You can choose a two or three rod option with this licence. The second licence is the 'Salmon and sea trout licence' which allows you to fish for salmon and sea trout on top of the fish you can fish for on the previous licence.